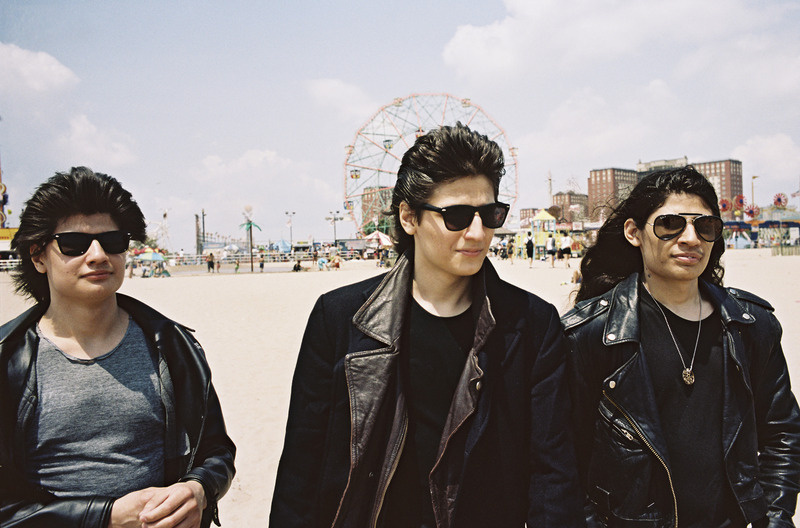 The story behind The Wolfpack is as improbable, startling, and specific as the one behind Grey Gardens, and since the film premièred at Sundance (and won the Grand Jury doc prize there), it’s drawn steady comparisons with the Maysles’ classic. 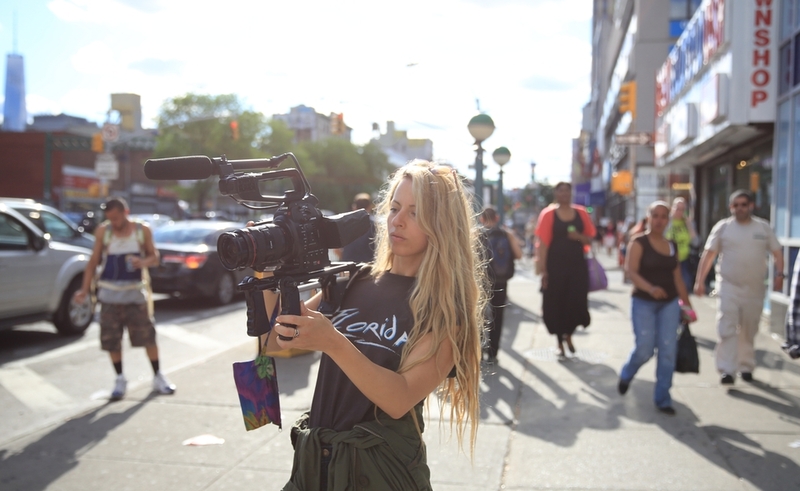 Crystal Moselle, an NYC commercial director and short-film documentarian, was out on the street in the Lower East Side when six boys, aged 11 to 18, ran by her, dressed in black suits, string ties, and sunglasses in conscious imitation of the stylish gangsters from Reservoir Dogs. Talking to them, she uncovered a complicated backstory: As the Angulo brothers—Bhagavan, Govinda, Mukunda, Narayana, Jagadisa, and Krsna—tell it, they were raised in near-complete isolation from the world, locked into their apartment by a dictatorial father who wanted to shelter them from corrupting American influences. As they emerged from his control, Moselle built a relationship with the family and filmed them over the course of more than four years, assembling a narrative of their life that uses copious home-video footage and interviews, plus video of the Angulos’ hobby: creating and filming scene-for-scene re-enactments of their favorite movies, complete with elaborate costumes constructed from household materials. The Wolfpack, Moselle’s first feature-length directorial project, is an unusual film, made in part by the participants. It leaves a lot of questions open, about access, process, and the Angulos’ future—questions Moselle sat down with The Dissolve to answer. The Dissolve: You said in the post-screening Q&A at Tribeca that you spent four and a half years filming The Wolfpack, after meeting the Angulo brothers out on the street. Where were they in their process of emerging from seclusion when you first encountered them? Crystal Moselle: Govinda seems to remember that the day they met me was the first day they’d gone outside the house without their father. After Mukunda went outside the house wearing a mask, I think their dad started bringing them outside more. But this was the first day they had all gone outside together as a group. That’s when I met them on the street. That was the first day that they’d all been outside together as a group. It was very early in their process. The Dissolve: It was hard to tell in the film, but do they call each other by their full names? It seems like they might have nicknames for each other. Moselle: It changes. It’s always different. And now the two youngest ones have changed their names. They have their birth names, and then their nicknames as well. The Dissolve: You made a directorial decision to not identify them by name in the film. And even as you’re interviewing them and following their story, it becomes hard to tell them apart, because they’re so close in age and appearance. Why did you decide to structure it that way? Moselle: Once we started editing, we actually tried naming them in the film quite a few times. We tested that on audiences. And it actually became even more confusing to have to learn their names, and then think about it every time. It actually worked better this way, because the first half of the film is really about learning their backstory as a family, as a pack. And then they go off in their separate directions toward the later part of the film. We tried quite a few things, but this version worked the best. That was one of the biggest challenges of editing this film. They all look alike, and they really speak as a group. That was actually a big challenge for us in doing the film. The Dissolve: As far as I could tell, no one in the actual film calls them “The Wolfpack.” Is that how they think of themselves? Where did the title come from? Moselle: When we met them on the street, a friend of mine said, “They’re like a sweet little pack of wolves.” So we just started saying, “You guys are like a little wolf pack.” And they loved that, and took it on themselves. Now when they’re walking down the street—even a couple of years ago—people are like, “Are you from the Wolfpack?” People didn’t really know who they were, or about their story, but they had heard of them. Moselle: There was a while—and I feel like this happens with documentaries a lot—where I thought, “What’s the ending? What really makes this feel like there’s a full arc of a story here?” And then there was the moment in the apple orchard. You could see Susanne Angulo’s full transformation. There was a definitive shot where I said, “In my head, I’ve seen this transformation with Susanne. I think we have something here that feels final.” I think with stories, it’s about seeing transformations and characters. There’s such a subtle yet powerful transformation with her. The Dissolve: It seems like the kids were on board with the idea of the film from the beginning, which isn’t surprising, given how much they love cinema. But what was it like working with their parents, Susanne and Oscar? How did they initially react? Moselle: They were very polite and sweet and open to me coming over. At first, when I came over to the house, they would leave. They wanted to give their kids the time to hang out with me. And then as the years went on, they got more used to it. Now we’re there all the time, so we’re part of the family in some sense. The Dissolve: Did Oscar have any input about what they could say and do for the film? The stories they tell about him are so controlling, and it’s hard to reconcile that with the passive man onscreen. Moselle: By the time I got into the story, the tables had turned. He had lost his power, and the boys had gained the power of the household. There was a total structural change in their family dynamic. Oscar wanted to be interviewed. I think he’s somewhat of a narcissist, so he was into the idea. He’s seen the film, and he liked it. The only thing he could control was that sometimes he didn’t want me to film him. But usually it passed, and he would say it was okay again. The Dissolve: In the edit of the film, your relationship with him feels like a slow building of trust. There’s a moment where the camera edges into his room, and it’s the first time we really see him. Did you do much interview work with him that got de-emphasized in the edit? Moselle: No. I didn’t actually do interviews with the family until two years into the film. I was just mainly hanging out, following their little adventures, and just being there with them. They were shooting different things, and I was just there. And then I started doing these interviews with them, and that’s when I first got Oscar’s interview. I only interviewed him twice, but all the other stuff is like, vérité observations of him. I guess I only really confronted him twice, and they were years apart. The last interview was around November 2014, so he was at a very different place than he was years before that. The Dissolve: When you say you confronted him, were you actually confrontational in the interviews? Did you actually take on an accusatory or inquisitive, “Why did you behave this way?” role? Moselle: Yeah, a little. I would just ask him questions that his children had told me about. He wasn’t really open to talking about it. He was mainly like, “I told them many times that I’m sorry for what happened. I told them many times.” So that was mostly what I got. The Dissolve: What about working with Susanne? Was she open to interviews from the beginning? Moselle: Oh yeah, she’s very open. The Dissolve: She says in the film that she had more strictures on her than the boys did. Oscar is Peruvian? Moselle: Yes. They met at Machu Picchu. The Dissolve: Is anything about his attitude toward being the head of the household, or about child-raising, part of a recognized tradition? Moselle: He was an only child, and no, I don’t think so. I think he had this idea in his head that he was going to start his own race. Sometimes I call him a failed cult leader. The Dissolve: He does come across like Fred Phelps without a cause. Moselle: Yeah, he had all these ideas that he wanted to take over the world with his kids. I think there were some delusions there, because nothing ever happened. 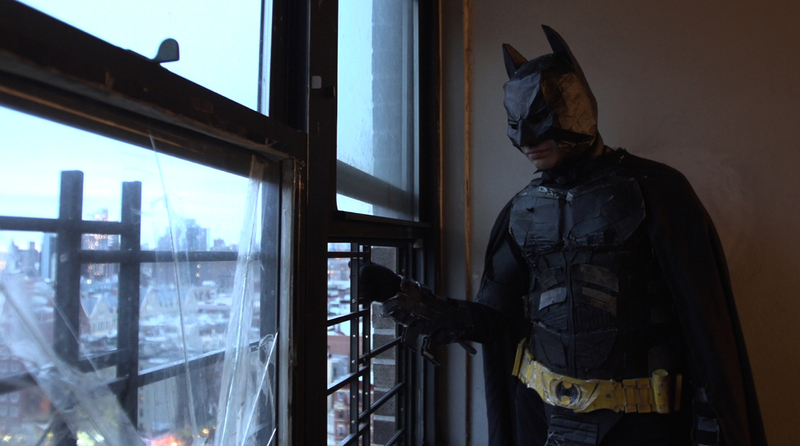 The Dissolve: It seems like a low-tech household. One of the boys uses a typewriter, and it’s one of the most high-tech things in their house. Do you have a sense for why they had home-video cameras, and why it was so important to the family that they film so much of their early years? Moselle: I think the dad just wanted to film his children. He doesn’t speak to his kids anymore, and it’s complicated, but he’s still very proud of them. I think he’s just stepped back and he’s accepting of the situation. And the kids, he always adored them. He wanted to record everything, and wanted to capture their childhood. I think that was important. They would take the camera as well, and capture what they could. But a lot of their film re-enactments when they were younger weren’t captured. They just did them. They became these characters, and didn’t even worry filming it. It was just about the process. The Dissolve: When they remade movies, would they then go back and watch what they’d filmed? Did they divide their attention between watching the actual films, and their versions? Moselle: No, I think they just wanted to film it. I think they re-created Dark Knight like 11 times. The Dissolve: So it was more about the fun of the filming process than about the result? Moselle: Yeah, I think that’s something they’re more interested in now. They’re more involved in the craft of cinematography. Govinda is actually a camera assistant on commercials, and takes on big jobs. It’s really cool. The Dissolve: What was it like for you as a documentarian when you found out how much of their history they’d filmed, when you got access to their footage library? Moselle: Oh gosh, it’s a dream. One day they said, “Oh yeah, we have a lot of footage that we shot when we were young.” And I was like, “Oh wow. Can I use some of it?” And they’re like, “Yeah, we’ll have to ask our mother.” Then they gave me a sack of VHS tapes this high [broad gesture], and on each tape, there was like 10 hours of footage. Most of it was them re-enacting songs, and their birthdays. The Dissolve: Did you go through all of that yourself? What was that process? Moselle: Yeah, yeah. I went through it quite a few times. It was really interesting. The Dissolve: And you said that you ended up shooting around 500 hours of footage yourself. What was your editing process like? Moselle: I worked with Enat Sidi, who’s a really special editor. She did Jesus Camp and Detropia and Billy The Kid. She’s really wonderful, and through our process, I learned so much from her. I was looking through this footage for emotion, and we were creating these sequences, that’s how we worked. We didn’t work in a linear way. Sometimes if she got inspired while we were watching footage, we would cut together a sequence and see how things felt, and create moods. It was a very different process than anything I’ve done before, but it taught me so much about really capturing moods. We might be looking through a whole scene, and finding a really great moment with somebody. And we’d pull that moment out and bring it up against something else, and create sequences. That’s how the first third of the film was built, when we were shaping their backstory. It was just really about creating these moods about what was the household felt like before they went outside. The Dissolve: Given how much Oscar wanted them isolated from the world, how much he felt it would corrupt them and expose them to violence and danger and capitalist values, it seems surprising that he’d let all this violent, capitalist popular culture into the house. Why did he not have a problem with his kids watching Reservoir Dogs or The Dark Knight? Moselle: I wish I knew. I have the same question. There’s never an answer to that, even when I’ve asked. The Dissolve: There’s a moment in the film where one of the boys talks about how the New York authorities want them to start going to school, and he says, “No way, under no circumstances.” It comes in the part of their story where all they wanted was to get out of the house and have a normal life. So do you have a sense of why they were dead-set against school? Moselle: I think it’s because of their mother. They definitely felt very protective over the process of home-schooling with their mom. They didn’t feel like it was the right thing to go to public school. I think they felt that if she wasn’t home-schooling them, what would happen to her? That was her job. The Dissolve: You encountered them just as they were taking their first tentative steps into the world. Did you feel like as a documentarian, your presence was altering the dynamic? Moselle: Yeah, I think that as a documentarian, your presence always affects your subjects in one way or another. I think that in this particular situation, it was inevitable, because I was their first friend. So there are a lot of questions that they had at all times, that we’d talk about. At first, it was really just a dynamic. When I first walked into this story, I didn’t know what the backstory was. I was like, “These are some really cool kids who are interested in film, and I’ll show them some cameras.” It was a friendship at first, and that turned into a documentarian/subject relationship. Yeah absolutely, I’m sure my presence was an influence on their life. The Dissolve: Was it strange being an attractive women spending time with six sheltered adolescent boys? One of them specifically says they have no idea how to talk to women. Did they end up with crushes on you? Moselle: No, that was never an issue. They always called me their older sister. I was more like a mentor than anything like that. Also, I think they were late bloomers, and it was something they weren’t thinking about at first. Now, it’s a different story. [Laughs.] I think they’re all getting their mojo on at this moment. It’s cute. The Dissolve: You don’t really talk to the younger sister at all. Why did you decide to leave her out of the film? Moselle: Well, she has Turner Syndrome, so I couldn’t interview her. It’s a genetic disorder, similar to Down Syndrome. I couldn’t really interview her personally. The Dissolve: Toward the end, events start moving very quickly. The guys go through major changes so fast, and there isn’t really a pause to reflect on them. What were you thinking about the storytelling at that point? Moselle: I think the story really became about their first steps into the world. I wanted to show some of the other things they were doing and becoming, like an outlet toward the future. I think it’s an inspiring story. I think a lot of those moments toward the last act of the film show that these kids are doing all right, and they’re starting to venture out. So maybe there will be a part two. [Laughs.] I think this is the beginning of their presence in film and media. There’s a lot to tell in this story, and I personally just wanted to highlight some of the really positive things that are happening with them. It was hard to not make it a five-hour film. The Dissolve: Was there anything in particular that you weren’t around for, that you were sorry to miss? Moselle: No. It’s funny, because there are quite a few scenes that the boys filmed themselves, like the scene where their mother contacted her mother. They filmed that, and they gave it to me as a little present. When I wasn’t there, they filmed things for me. I think I was very lucky that the process started with me showing them cameras. It became collaborative. The Dissolve: There are certainly scenes in the film that invite viewers to wonder, “Is she shooting that in the present? Did they shoot that in the past?” Like the Reservoir Dogs re-enactment, which could play as something you did as an example of their life, or as home video they’d already shot. What was your involvement in their re-enactments? Moselle: A couple of them, I helped them with. But they also did some themselves. The Halloween ritual was all their own footage. I wasn’t allowed at their Halloween festival. The Dissolve: That seemed like it was possibly before you arrived. When did that take place, when they’re burning the scarecrow in the house? Moselle: That was the first year. It was after I met them, but I wasn’t allowed to come over for their Halloween festival. The Dissolve: Did you get the sense that they had a lot of rituals, or celebrations like that? Were there other things on the VHS tapes along that line? Moselle: No! And I went to a different Halloween festival of theirs. It felt a lot more innocent actually being there than it was when I looked at the footage. When I saw that, I thought, “What’s going on? !” [Laughs.] Invoking spirits and marching around this object. At least there was water next to the bonfire, just in case something happened. It was wild. But no, there were no rituals I encountered besides the burning of the scarecrow. The Dissolve: Do you have any sense for who initiated that? The ritual of it made it feel like something like Oscar’s sense of ritual around the kids’ hair and so forth. Moselle: No, no, their father wasn’t allowed to come to Halloween. He’s not invited. Moselle: I think Halloween was the first thing Mukunda took as his own. I think that’s what started the conflict which later gave him the oomph to walk out that door. The Dissolve: As you said, because you’re presenting their story as a collective and you don’t identify the boys individually, they blur together. What were the significant personality differences you noticed as you got to know them? Moselle: They’re all very different. I can tell you what they’re all doing right now, which can probably help that question. Bhagavan is a yoga teacher now, and he is also part of a hip-hop conservatory. It’s really wonderful. He’s very focused on his movement, and just feeling, and being spontaneous with life. He’s interested in acting as well. Narayana is very sensitive about the planet and animals, and he’s a vegan, and he does political canvassing. He’s part of NYPIRG [New York Public Interest Research Group]. He helped take over its anti-fracking campaign. Mukunda is just really a go-getter. He wants to be a director. He’s the one where you’ll walk into a room, and he’ll introduce himself to every single person. He has no fear that way. Govinda is more shy, and interested in technology and cameras. But Govinda is also a great spokesperson. Throughout the film, he was the one who gave us the structural moments of the film, “We grew up like this. Our father was like that.” And I think Mukunda gives us more honest quirkiness. The two youngest ones [Jagadisa and Krsna] are really going their own way now. And I think that’s just how life is, you know. The Dissolve: That sounds like a euphemism. What does “going their own way” mean? Moselle: They’re really wanting to get into music, and they’re not interested in film anymore. When I first met them, they were like, “We’re all going to be filmmakers. Krsna is the actor, and Govinda is going to produce, and Mukunda is going to direct,” and so forth. It was all very set up that way. And now, they’re all like, “No, I’m doing my own thing.” But that’s how life happens. You can’t plan out exactly what’s going to happen. The Dissolve: Given how they grew up, they all seem shockingly well-adjusted. Is that your impression? Moselle: Yeah, and I think their mom had a lot to do with that. They had a lot of love from her. Even if they were getting a different side of the story from their father, she really had a huge influence on them, and they just adore her. I adore her. She’s a wonderful person. And I feel like she’s a victim in the situation as well. They’re all climbing out of it. The Dissolve: What’s next for you? What are you up to now? Moselle: I’m working on some more short-form projects. I do commercial work and media and editorial stuff. And I’m writing a script, and I’m open for another doc to come my way, but for now, I want to put all my heart into this. I really want to get it out in the world before I start filming something else. It’s the most intense thing I’ve ever done in my life.